Why Hiring a Minibus Makes More Sense than Hailing a Normal Taxi? How many of us would actually try something out of the norm? All of us are always rushing and have no time to try something new without realising that there is always a better deal or alternative out there. This is definitely a given for a 7 seater Maxi Cab or a 9 to 13 seater minibus. Nobody can deny the luxury of space that these vehicles can offer in comparison to a 4 seater sedan! Most important is how can these extra space benefit you? It means you can have everything MORE! MORE people to travel TOGETHER as a group and MORE space for luggages when you are travelling to the airport, equipments for an event or concert or even your beloved bicycles for your cycling trips. Not forgetting, we at MaxiCABooking SG assure you that our drivers are trained to keep both you and your equipment safe and secure throughout the whole trip. Its always a challenge when taking a normal taxi if you have multiple locations for pickups or drop offs as taxi drivers are trained for point to point transfers. This is definitely not the case with us at MaxiCABooking SG. Our fleet and drivers are flexible and are able to be your personal chauffeuerfor the day or thorughout your stay in Singapore. They will be able to assist you for best routes, multiple pickups and dropoffs points and also give suggestions if you are here on holiday and wish to know whats best in Singapore – in terms of food, attractions, heritage and many more! MaxiCABooking SG ensures that flexibility will ultimately lead to customer happiness and overall satisfaction. All our drivers at MaxiCABooking SG are trained in emergency, safety procedures and any situations apart from the utmost non compromisable quality of being professional in both their driving and attitude. Our drivers are always professional yet ready to provide you with assistance and information you need to make the most of you trip. We assure you that not only will you be travelling in comfort but also with a peace of mind. It is a company policy at MaxiCABooking SG for all drivers to ensure that the vehicles are kept clean at all times. Customers ourselves, we do understand the need to have a spick and span vehicle during our trip. Our operations team also work 24/7 to ensure that all vehicles are well maintained and kept at the highest standard for your safety and comfort. MaxiCABooking SG offers our customers multiple avenues for you to get in touch with us through different platforms. Our customer support team are available via phone call, SMS, Whatsapp, email and also through our online website where you will be able to make instant booking through the website. Apart from this, we also offer add ons for your customers such as purchasing of attraction tickets to help them skip the queue. Why wait? It’s time to start a new and wonderful experience in your travels, don’t miss out on it. Book with us at MaxiCABooking SG and let the experience speaks for itself, you deserve it. 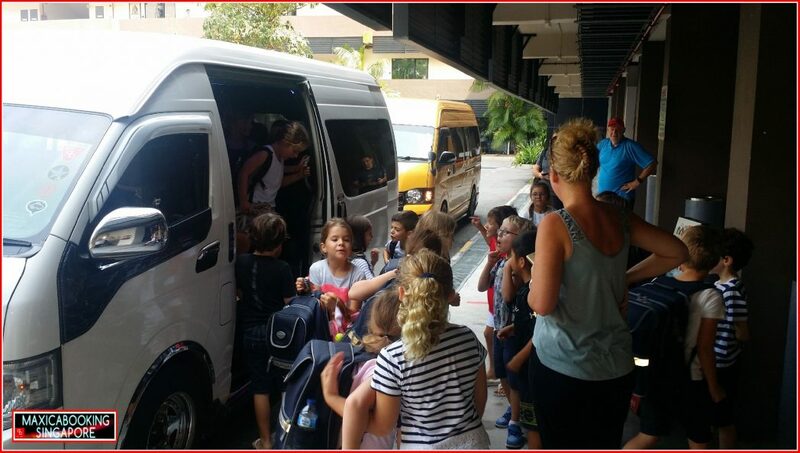 This entry was posted in Mini Bus, Mini BUS Services and tagged mini bus, mini bus 13 seater, mini bus booking, mini bus hotline, minibus company, minibus rates, singapore mini bus. Bookmark the permalink. ← Tips for travellers travelling to Singapore.